The holiday season is a wonderful time of year for everyone! With lots of decorating, shopping, and family time, it is important to make sure it is special for everyone, including your pets! Foods + Beverages – Avoid chocolate, alcohol, bones, onions, garlic, grapes/raisins, candy, macadamia nuts, almonds, walnuts, pistachios, and fat trimmings. Consumption of any of these things can cause choking, intestinal obstruction, pancreatitis (fatty foods), seizures, or even death. Keep pets out of the garbage, and keep dangerous items out of reach. If your pet is persistent to get food that is bad for them you can try to block access to the kitchen with a baby gate, or distract them with something they are allowed to have, like a pet treat or toy. If your pet does get into something they aren’t supposed to, and develops any symptoms such as vomiting, diarrhea, lethargy, seizures, or is unable to walk, please see your nearest veterinarian. Trees + Decorations – Christmas trees both real and fake, can be irresistible to dogs and cats. If you have a hard time keeping your pet away from the tree, decorations, and presents, consider putting a small gate around the tree to keep their curious minds out of trouble. Avoid using breakable decorations, and tinsel. Be cautious with ribbons, wrapping paper, and tissue paper on gifts under the tree, which can cause intestinal upset and blockages. Keep pets from drinking Christmas tree water, and be sure to secure the Christmas tree so it doesn’t fall on pets. Also make sure pets are not chewing cords or Christmas lights, which can cause electric shock, burns, or even death. Poisonous Plants – Some holiday plants that should be avoided are poinsettias, holly, mistletoe, and lilies. Cats are usually most interested in plants, so be careful if you do keep any of these plants in the home to keep them out of their access. If you know or suspect your cat or your dog to have ingested any toxic plants, please call or see your nearest veterinarian. 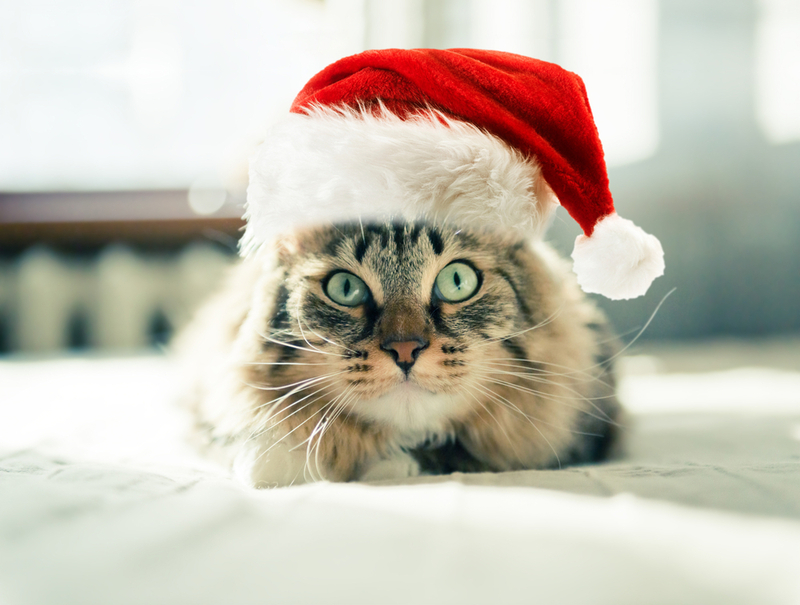 Holiday Stresses – The holidays can be overwhelming for some pets, as most are not used to having lots of different people and noises around them all at once. Providing a special retreat space for your pet in case they want to escape the noise and stress is important. When you are having visitors over, be sure to watch the doors so no pets try to escape. 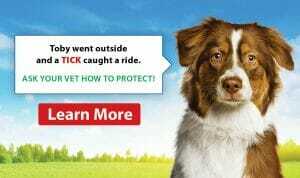 Make sure that all pets have proper up to date identification on in case they do get out of the house and go missing. Loud noises like fireworks during New Years can also scare pets. Synthetic pheromones in the form of sprays and diffusers can help naturally calm your pet during these stressful events. Also, introduce strangers to your pets when they first arrive, and teach any children how to properly pet and give treats.